This timeline assumes you plan to start medical school in the summer/fall following your college graduation and that you will complete your undergraduate education in four years. 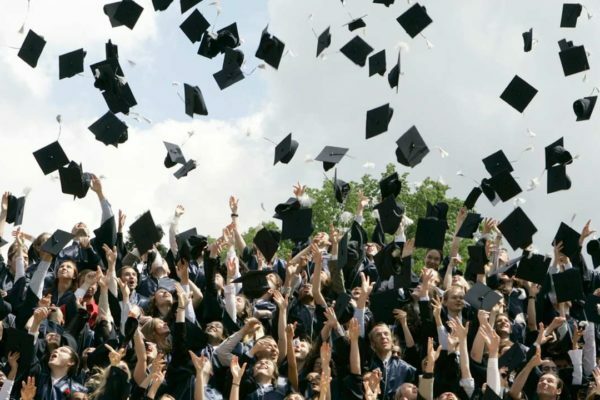 Recommendations for post-college, however, are included at the bottom of this timeline if you wish to take a gap year or different undergraduate path. Please consult with your health professions advisor to establish your own personalized schedule. Meet with your high school counselor to discuss pursuing a health professions career and create an academic plan. If your high school offers a pre-health track, work with your counselor to enroll in the courses. Take Advanced Placement (AP) math and science classes to prepare for more difficult college level coursework. Take elective classes that help develop a background in the health professions and strong communication skills. Develop strong time management and study skills. Volunteer with health-related organizations (hospitals, the American Red Cross, nursing homes, hospices, etc.). Request assistance from your high school counselor, family members, or family physicians to schedule job shadowing opportunities. Research health professions career opportunities through explorehealthcareers.org. Research and attend summer health programs offered by colleges. Join or develop a student organization that is geared toward a health professions career. Join or start a local chapter of HOSA. Meet with your university’s health professions advisor to discuss overall pre-medical curriculum. If your college does not have a health professions advisor, view resources at the National Association of Advisors for the Health Professions. Start taking prerequisite coursework, which typically begins with the Biology and/or the Inorganic Chemistry sequence. Learn more about the osteopathic medical profession and philosophy by reading books, researching online, etc. Sign up to receive The DO and other health related resources. Review AACOM’s Osteopathic Medical College Information Book to assist with your medical school research. Begin researching medical schools online. Focus on admissions requirements and average entering student statistics (average GPA, MCAT, etc.). Attend recruitment events and visit medical school campuses. Join or start a Pre-Student Osteopathic Medical Association (Pre-SOMA) chapter at your college. Work to develop a relationship with your science faculty members by visiting during office hours, participating in extracurricular activities, etc. Begin to gain clinical experience in health care fields through shadowing, volunteering, employment (CNA, EMT, etc. ), and internship opportunities. Keep records of your experiences. Look for opportunities to shadow physicians in clinical settings and keep records of your experiences. Request assistance through a health professions advisor. Find DOs specifically at doctorsthatdo.org. Meet with your health professions advisor to discuss current coursework, activities, and to begin thinking about preparation for the Medical College Admission Test (MCAT). Maintain a competitive GPA and reach out to on-campus academic resources, such as the tutoring center, for assistance. (See General Admissions Requirements for the average GPA for entering students). Begin researching the cost of applying to medical school. Keep in mind that the average applicant to medical school applies to nine colleges. Stay involved in pre-health organizations and get involved in community service—look for leadership opportunities. Join or start a Pre-SOMA chapter at your college. Determine requirements of evaluations/letters of recommendations for each program of interest and build relationships with professors, advisors, and medical professionals. They are future resources for evaluations/letters of recommendation. Work on your communications skills through public speaking courses and leadership opportunities. Look for opportunities to shadow physicians in clinical settings. Investigate participating in undergraduate research. This can take several months to coordinate. Research summer health care opportunities (work, education abroad, internship, etc.). Meet with your health professions advisor about evaluations/letters of recommendation. Inquire about the availability of a pre-health committee. 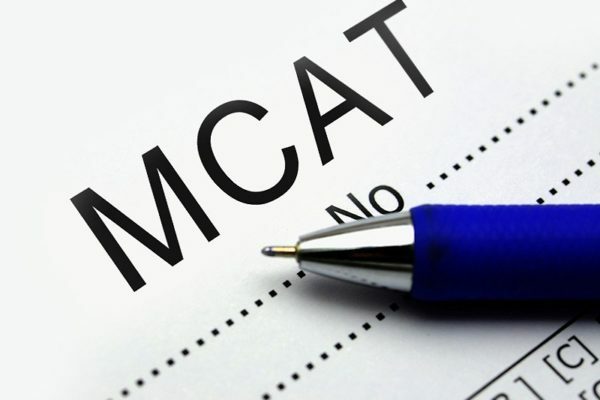 Begin serious preparation for the MCAT exam, which is offered between January and September each year. Utilize the Association of American Medical College (AAMC)’s MCAT prep resources for official guidance. Attend recruitment events and visit medical school campuses to meet with admissions counselors or attend an open house. Stay involved in pre-health organizations, volunteer experiences, and extracurricular activities, especially those that focus on helping underserved populations. Keep in touch with individuals who might write an evaluation/letter of recommendation. Set aside time to work on your personal statement. Revisit and rework the statement over an extended period. It is highly recommended that you work with your university’s writing center for assistance. Research and plan how you will pay the application fees to apply to medical school. Keep in mind that the average applicant applies to nine colleges of medicine. Continue researching medical schools online by reviewing admissions requirements, average entering student statistics (i.e., GPA, MCAT, ideal applicant), and mission and vision statements. Meet with your health professions advisor to review the details of your application. Contact the individuals who will be writing evaluations/letters of recommendation for you. Give them plenty of time (at least four to six weeks) to write a quality evaluation/letter of recommendation. Research medical schools that interest you. 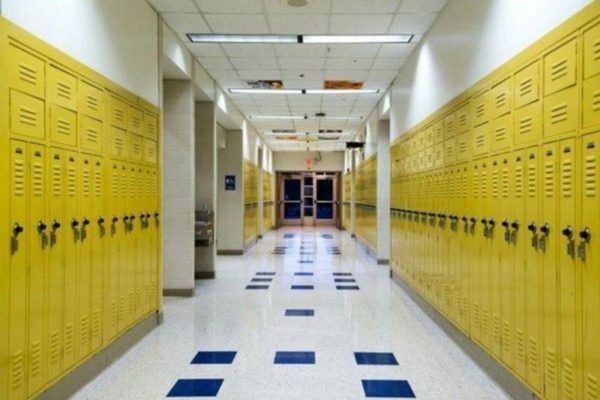 Contact each school to inquire about their specific admissions criteria and schedule a time to visit their campus. (See a schedule of College Recruiting Events). Start the AACOMAS application process in May. Submit your application when you are ready, early is better but complete/accurate is best. Continue prerequisite coursework. 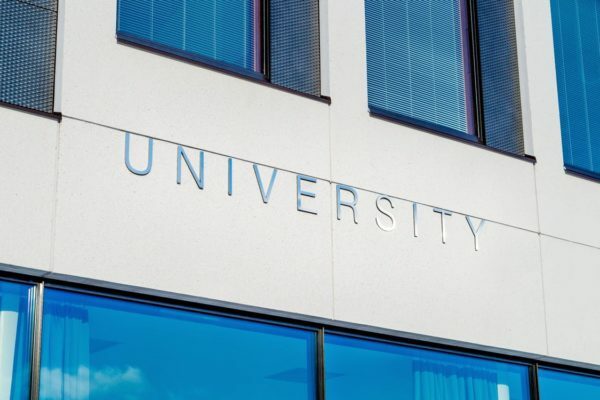 If possible, enroll in upper-level sciences courses, such as Biochemistry and Gross Anatomy. Apply to AACOMAS. Apply early and read all application directions carefully to avoid delays. Application processing begins in June. 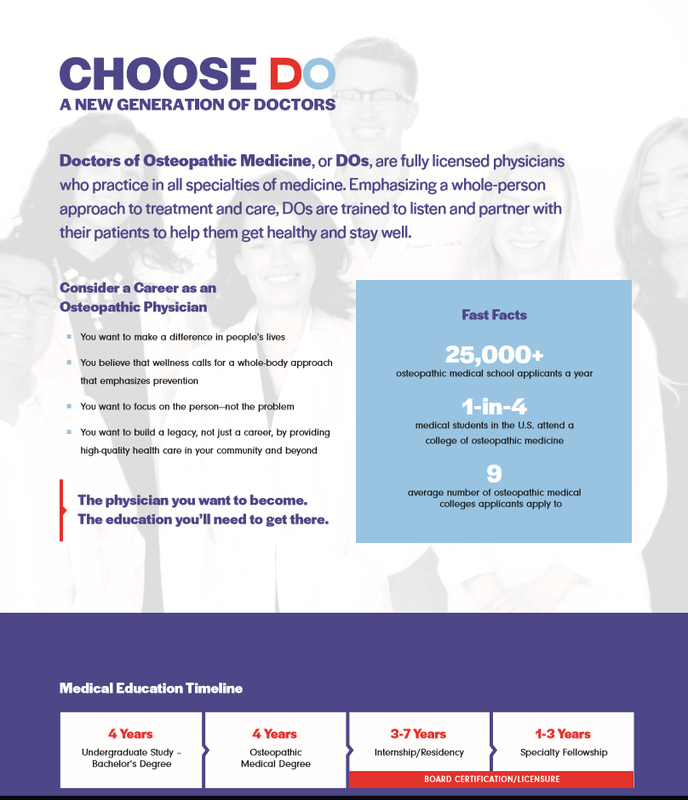 Colleges of osteopathic medicine make admissions decisions on a rolling basis, so they review applications, conduct interviews, and make admissions decisions throughout the admissions cycle. Keep in mind that interview slots may be awarded and/or classes may be filled if you apply close to the deadlines. Submitting materials early and accurately will support timely processing and help avoid delays. In the 2018 – 2019 cycle the average AACOMAS applicant applied to nine colleges. Order all official transcripts and have them submitted to AACOMAS. Release MCAT scores to AACOMAS electronically using the AAMC’s MCAT Score Reporting System. 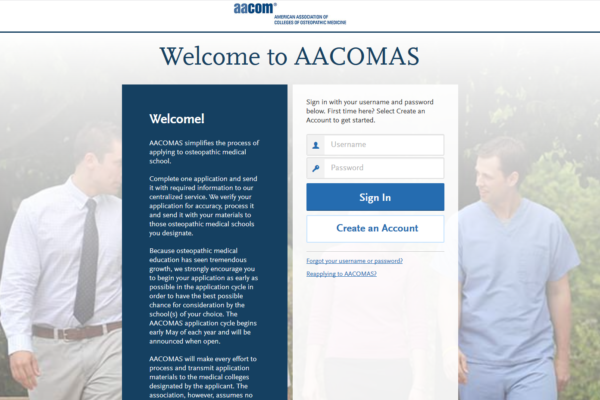 Use the Check Status tab in AACOMAS to monitor your application. Periodically contact each school to verify your application status. Meet with your health professions advisor or career center to work on interview skills. If possible, complete a mock interview. Complete prerequisite coursework. Continue to include upper-level science courses. Share news of upcoming interviews and acceptances and thank those who helped along the way—health professions advisors, professors, physicians, family, and friends. Complete the AACOMAS Academic Update in early December to submit fall coursework. Consider post-application plans, whether you are accepted or not. Think about what you will do between the time you are accepted and begin school or the steps you will take should you need to reapply. 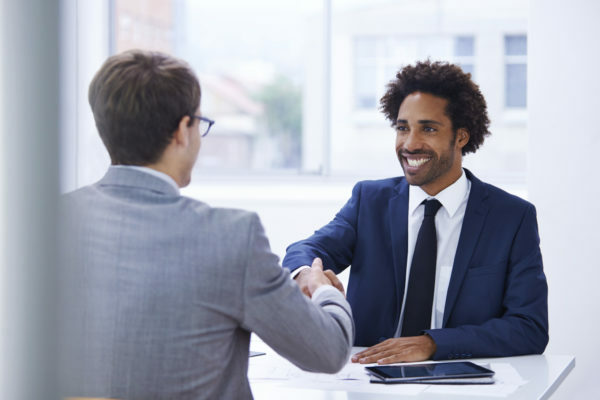 If you are not accepted or invited to an interview, contact the schools where you applied to request formal feedback on how to be more competitive should you reapply. Explore next steps to increase your competitiveness. 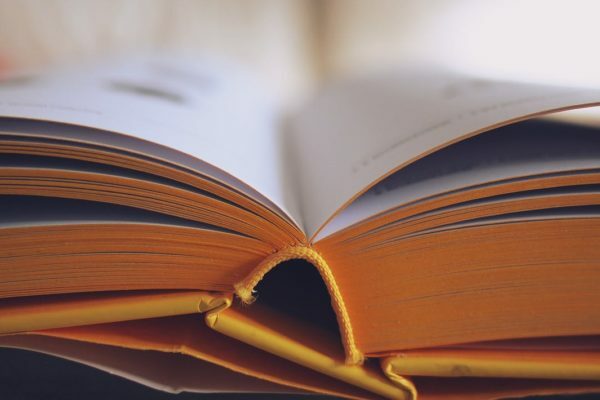 These steps may include gaining additional clinical experience, retaking the MCAT exam, enrolling in a master’s program or postbaccalaureate certificate program, taking additional upper-level science courses, and reapplying for admission. Meet with a health professions advisor to gain insight into your competitiveness for medical school or on your career goals.